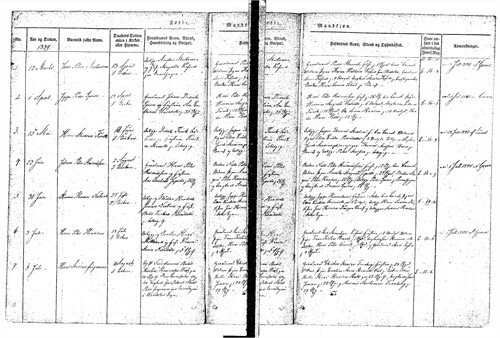 Here is the brief yet fascinating story of my second great grand uncle, Hans Madsen Funk (1839-1892). Hans Madsen Funk was born on May 15, 1839 in Eskesgård, Pedersker, Bornholm, Denmark. If you recall, he was one of thirteen children born to Diderik Espersen Funk and Kirsten Madsen Hansen. 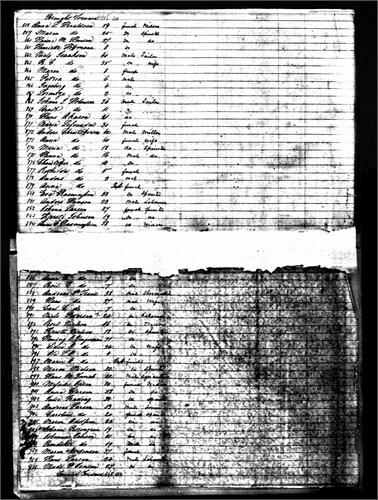 On November 4, 1855, Hans was baptized a member of The Church of Jesus Christ of Latter-day Saints (LDS) by Christian G. Larson. 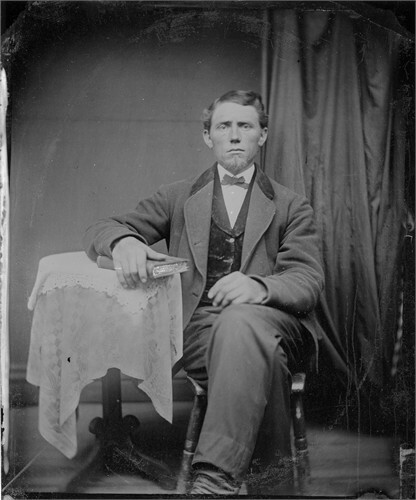 He immigrated to America in 1861 and by 1872 had set up a homestead in Lewiston, Cache County, Utah. 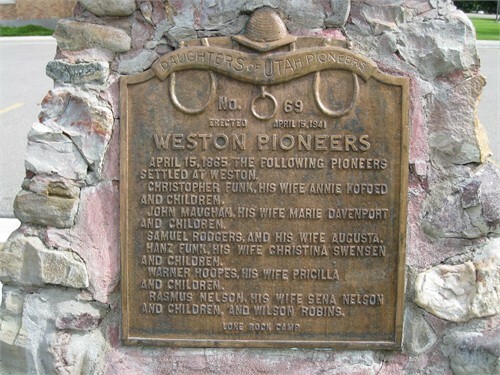 In April of 1865, Hans, his wife Christina Swensen, and their children along with Hans’ brother Christopher Funk, his wife Annie Kofoed, and children were in the first group of pioneers to settle the town of Weston, Idaho. 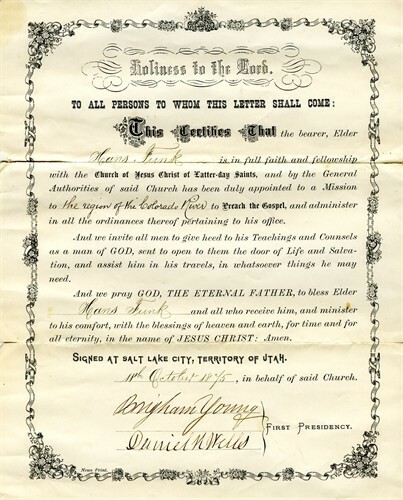 On October 11, 1875, Hans was called to serve a mission for the LDS Church in “the region of the Colorado River.” His mission call was signed by Brigham Young and Daniel Wells of the First Presidency of the LDS Church. In 1879, Hans accepted a mission call to Scandinavia. He arrived in Copenhagen on November 29, 1879 and was assigned to preside over the Copenhagen Conference. 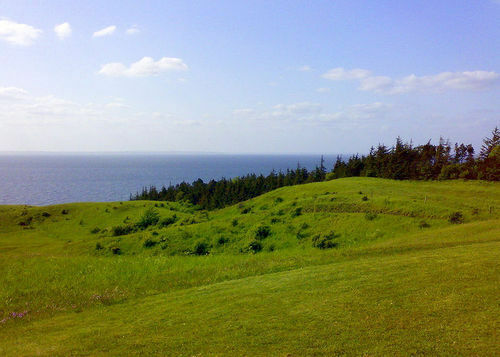 In 1880, he and his companion held Church meetings on the island of Samsø (Holbæk County). They were arrested and imprisoned for three days. After his release, Hans baptized and confirmed a family living on the island. As one historian observed, “It seemed that every time the civil authorities undertook to hinder the progress of the work, they only helped to arouse the feelings of the people and further the good cause.” Hans departed from Copenhagen on August 29, 1881 aboard the steamer Pacific. 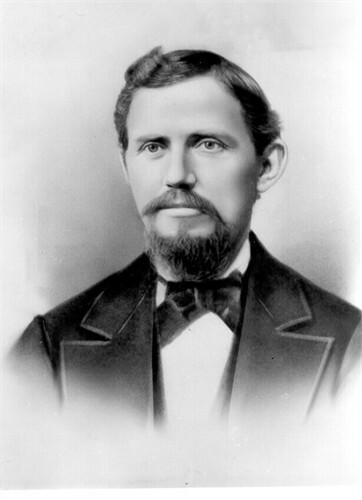 A few months after he returned to Utah, Hans was ordained a bishop by William B. Preston. He served as bishop of the Newton Ward in the Benson Stake from 1884 to 1892. During his tenure, he was arrested for unlawful cohabitation (i.e., polygamy). In November 1887, Hans was fined three hundred dollars and sentenced to six months in prison. The following May, he was released. 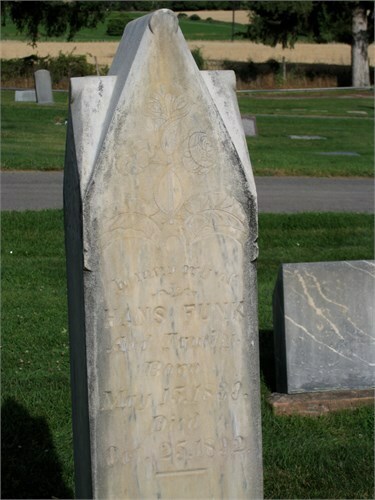 Hans Madsen Funk died in 1892 in Newton, Cache County, at age fifty-three.